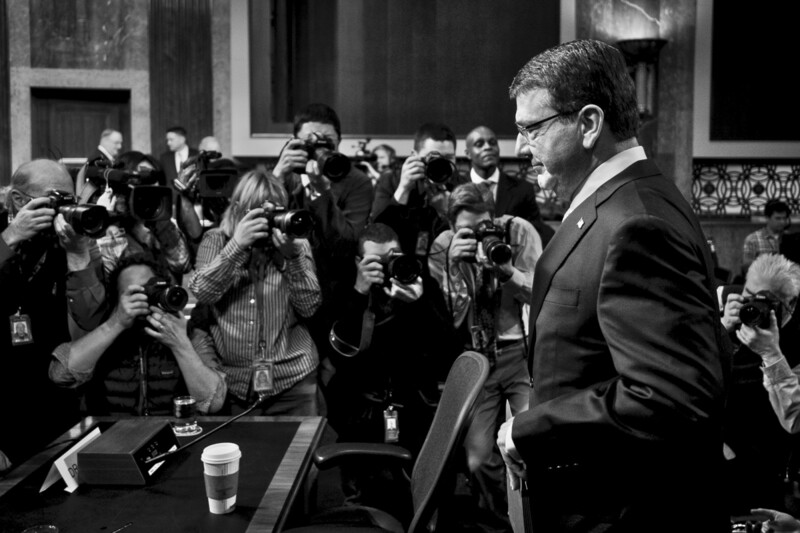 Former Deputy Secretary of Defense, Ashton Carter, arrives to testify before the Senate Armed Services Committee on Capitol Hill during a hearing on his nomination to be Defense Secretary on February 4, 2015. Carter is expected to be approved by the Senate, but still underwent a grilling from lawmakers President Obama’s national security policies. 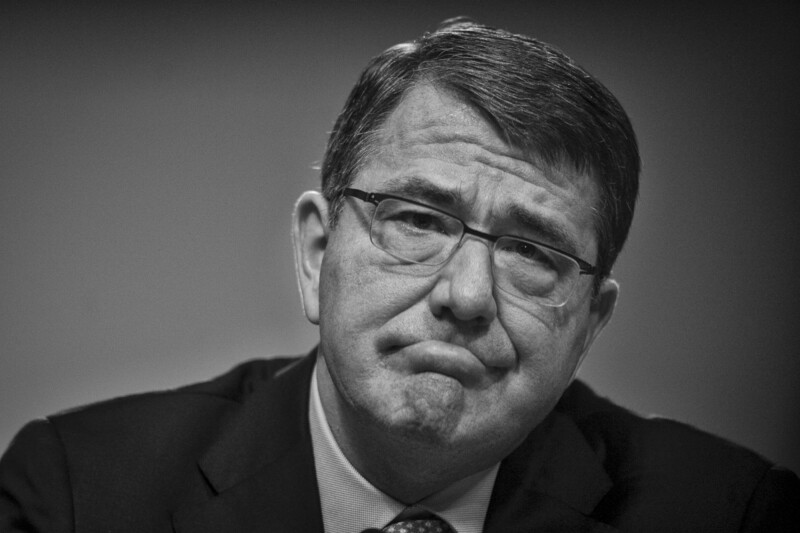 On December 5, 2014, President Obama nominated former deputy secretary of defense Ashton Carter to succeed Chuck Hagel, who resigned under pressure last year. 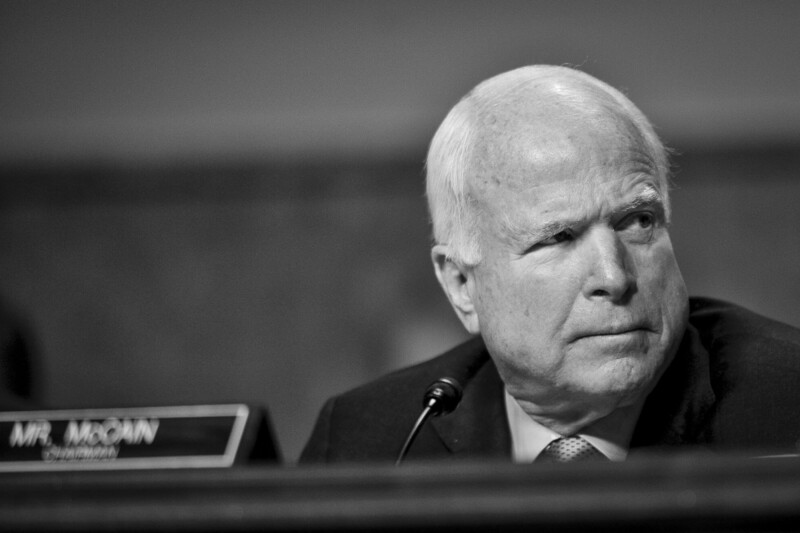 Today I covered his confirmation hearing before the Senate Armed Services Committee. 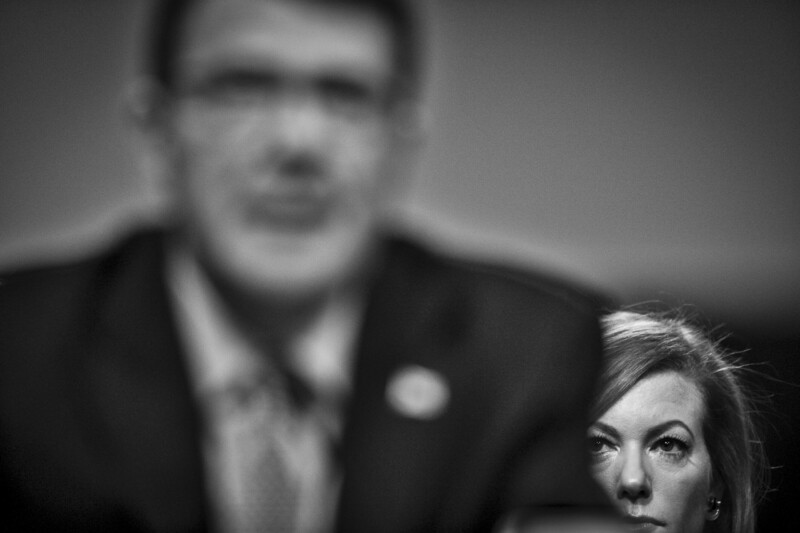 Stephanie Carter, wife of former Deputy Secretary of Defense, Ashton Carter, looks on as he testifies before the Senate Armed Services Committee on Capitol Hill during a hearing on his nomination to be Defense Secretary on February 4, 2015. Carter is expected to be approved by the Senate, but still underwent a grilling from lawmakers President Obama’s national security policies. 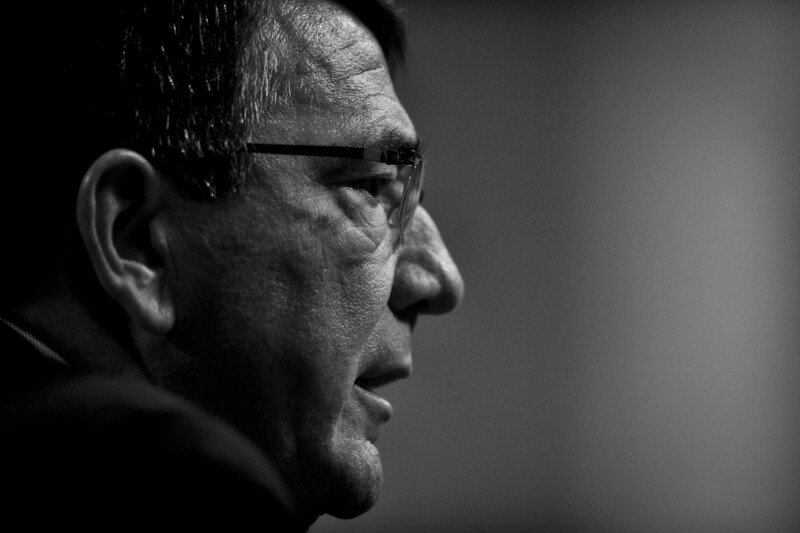 Former Deputy Secretary of Defense, Ashton Carter, testifies before the Senate Armed Services Committee on Capitol Hill during a hearing on his nomination to be Defense Secretary on February 4, 2015. Carter is expected to be approved by the Senate, but still underwent a grilling from lawmakers President Obama’s national security policies. 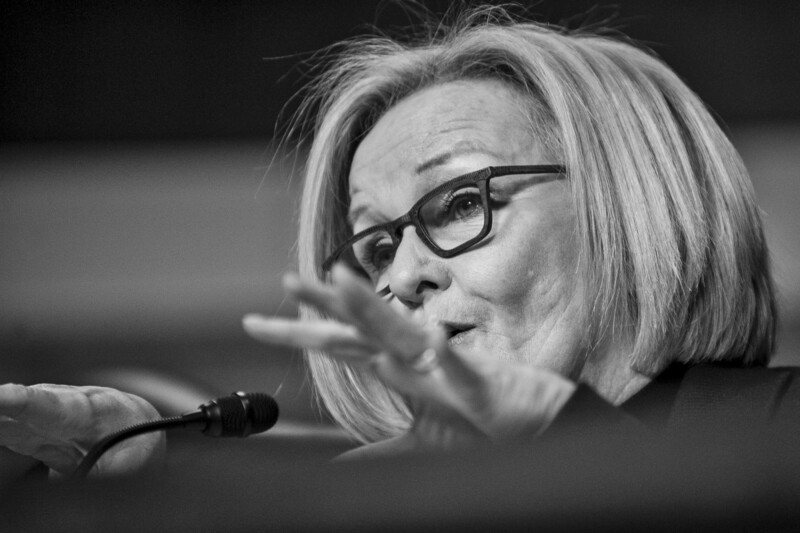 Senator Claire McCaskill (D-MO), questions former deputy secretary of defense, Ashton Carter, testifies before the Senate Armed Services Committee on Capitol Hill during a hearing on his nomination to be Defense Secretary on February 4, 2015. Carter is expected to be approved by the Senate, but still underwent a grilling from lawmakers President Obama’s national security policies. 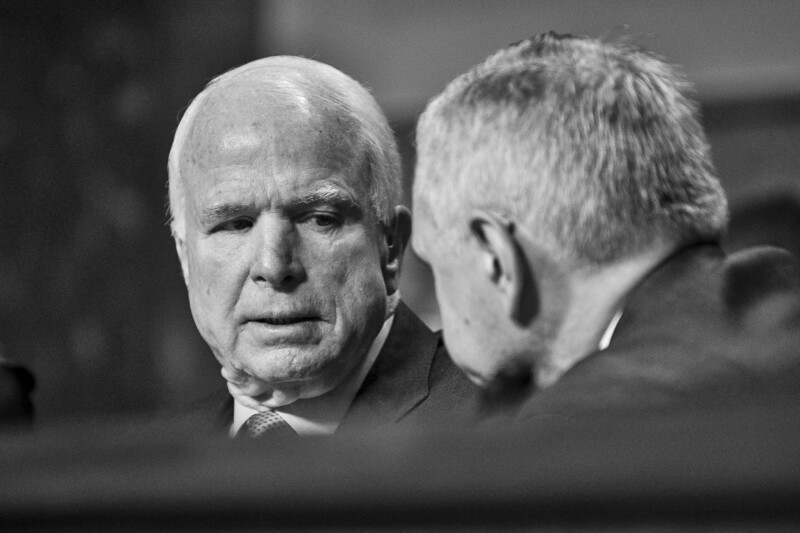 Senate Armed Services Committee Chairman, Senator John McCain (R-AZ) and ranking member Jack Reed (D-RI) confer as former deputy secretary of defense, Ashton Carter, testifies before the Senate Armed Services Committee on Capitol Hill during a hearing on his nomination to be Defense Secretary on February 4, 2015. Carter is expected to be approved by the Senate, but still underwent a grilling from lawmakers President Obama’s national security policies. 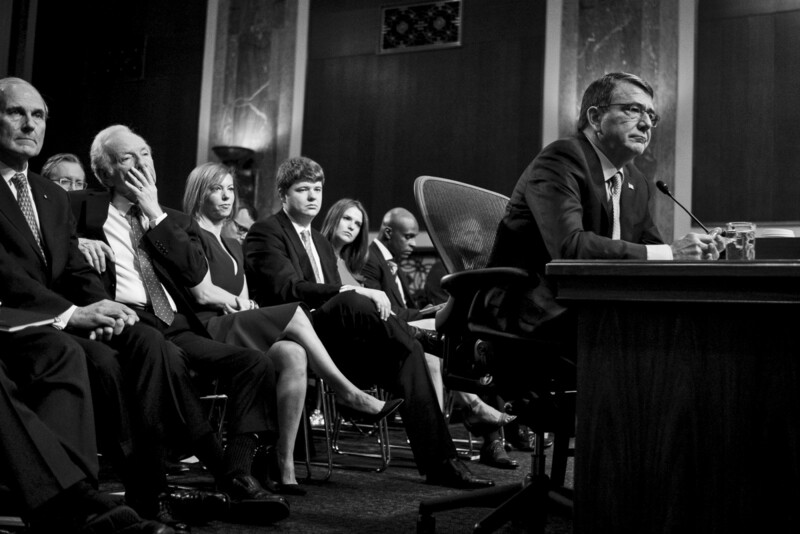 Senators Lindsey Grahman (R-SC) and Mike Lee (R-UT), listen as former deputy secretary of defense, Ashton Carter, testifies before the Senate Armed Services Committee on Capitol Hill during a hearing on his nomination to be Defense Secretary on February 4, 2015. Carter is expected to be approved by the Senate, but still underwent a grilling from lawmakers President Obama’s national security policies. 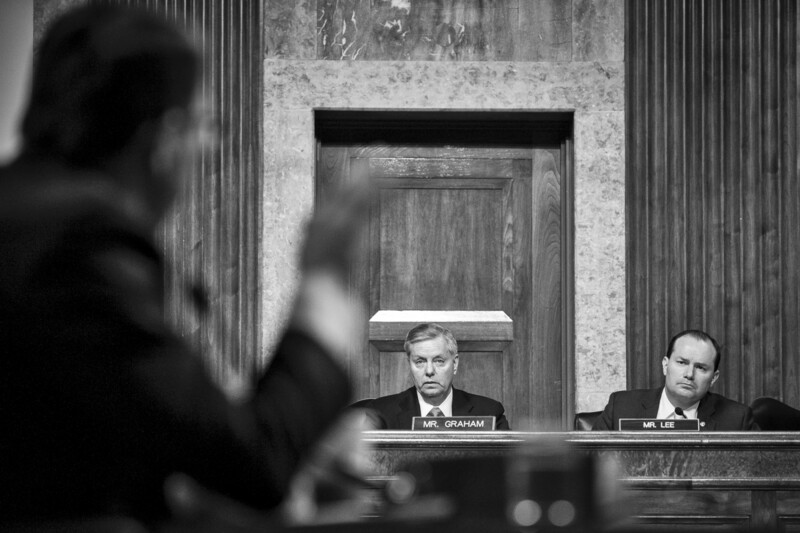 Senate Armed Services Committee Chairman, Senator John McCain (R-AZ), listens as former deputy secretary of defense, Ashton Carter, is questioned before the Senate Armed Services Committee on Capitol Hill during a hearing on his nomination to be Defense Secretary on February 4, 2015. Carter is expected to be approved by the Senate, but still underwent a grilling from lawmakers President Obama’s national security policies. 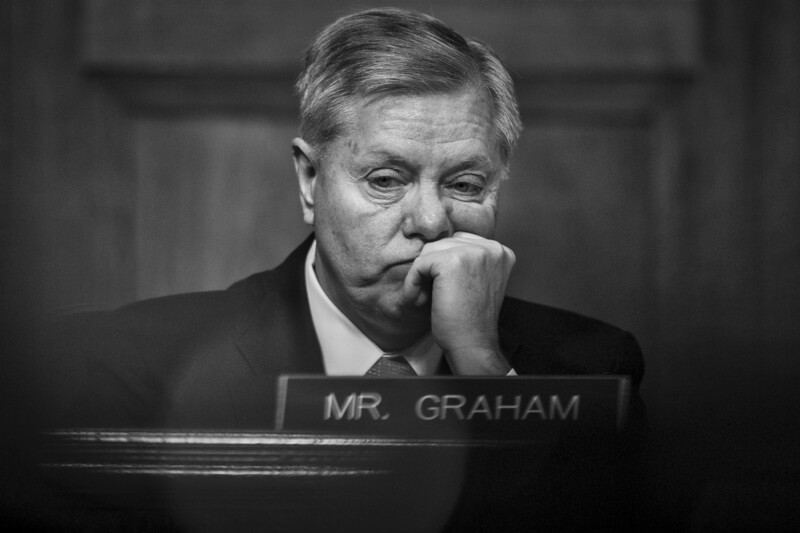 Senator Lindsey Grahman (R-SC) listens as former deputy secretary of defense, Ashton Carter, testifies before the Senate Armed Services Committee on Capitol Hill during a hearing on his nomination to be Defense Secretary on February 4, 2015. 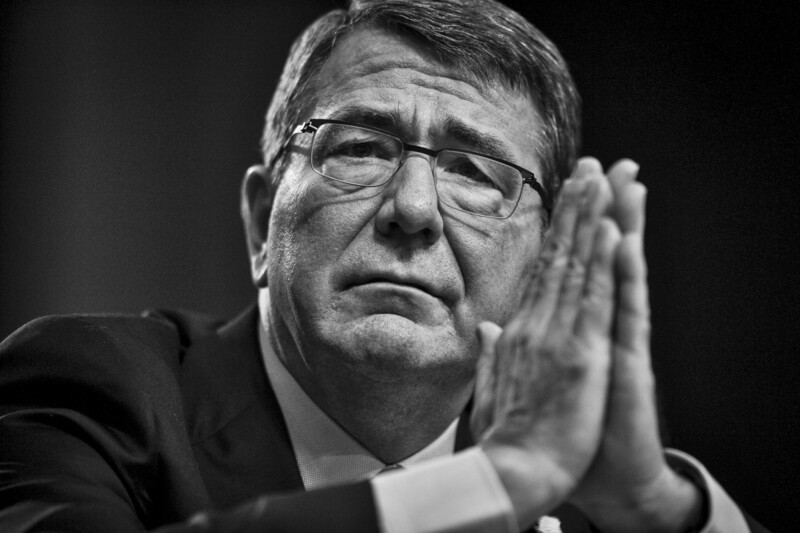 Carter is expected to be approved by the Senate, but still underwent a grilling from lawmakers President Obama’s national security policies. Categories: Capitol Hill, On Assignment, Politics, Washington D.C. Tags: capitol Hill, congressional Hearings, photojournalism, photojournalist, political photography, Politics, washington d.c.